I’ve been using this skate for a couple years and I gotta say it’s a great skate. It of course has it’s pros and cons but these are great if you have narrow feet and like speed. The X60’s aren’t the top of the line but are very high quality and are stiff, That’s what I love about them.They are very light but still stiff, and I do a lot of backwards skating, transfers, stopping. These hold very well and enable me to do everything very quickly which is important at high levels. 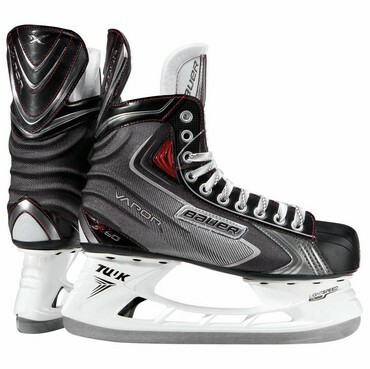 I wouldn’t say these are very beginner friendly because of the freedom and the lightness of the skates. It’s a lot more manual work than not, but I love them and they fit my playing style perfectly on the ice. Here I am in my X60’s, gotta say I always feel confident wearing these.